Click on the icon below to select courses for enrollment. ​To get annual training credit in your state please provide your state registry ID number on the evaluation form at the end of the course. If we are able to record your training in your state's registry system we will, however some states require that the student submit the certificate to the registry. 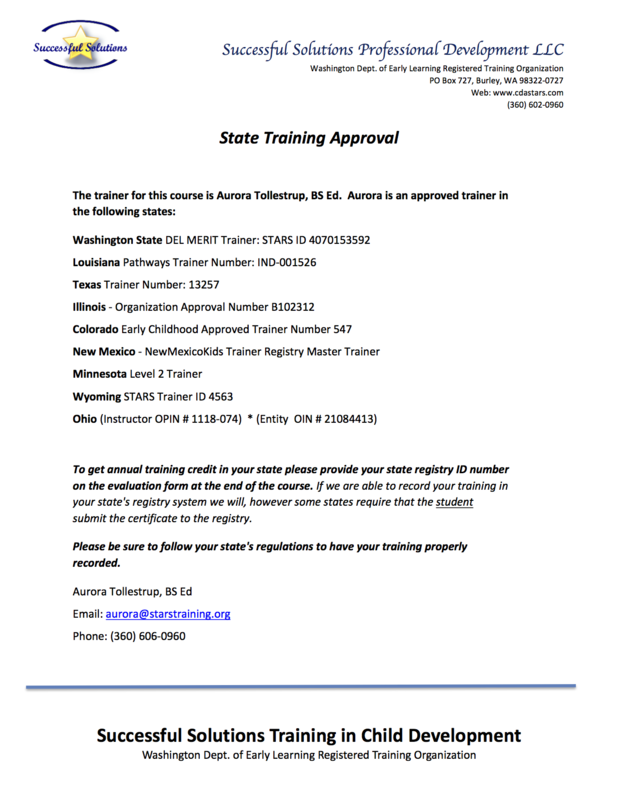 There is information available about states that pre-approve training on our about us page.